Where do they find them? OK, right, just shut up and listen. We’ve only got ONE year to save the planet, starting NOW. 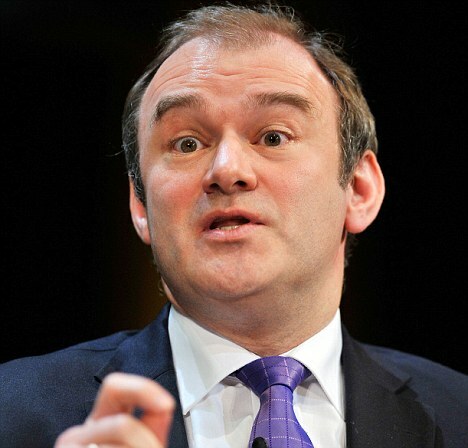 World leaders must agree a deal to tackle global warming within the next year or risk losing our way of life as we know it, Ed Davey, the energy secretary has warned ahead of major international negotiations in Lima. About 9,000 politicians, diplomats and non-governmental organisation delegates will descend on the Peruvian capital over the next two weeks for the UN’s annual climate change talks, intended to thrash out key details to enable a global deal by an agreed deadline of next year’s summit in Paris. WWF’s Climate Solutions report shows how the world can limit its heat-trapping emissions with known technologies and policy changes, using only sustainable, environmentally friendly energy sources. “The question for leaders and governments everywhere is how to rein in dangerously high levels of carbon dioxide emissions without stunting development and reducing living standards,” said James Leape, WWF International’s Director General. “The Climate Solutions report shows not only that this can be done, it shows how we can do it. We have a small window of time in which we can plant the seeds of change, and that is the next five years. We cannot afford to waste them. Except that report was in, er, 2007. I leave the post with great misgivings about the power and irresponsibility of – to coin a phrase – the Green Blob. By this I mean the mutually supportive network of environmental pressure groups, renewable energy companies and some public officials who keep each other well supplied with lavish funds, scare stories and green tape. This tangled triangle of unelected busybodies claims to have the interests of the planet and the countryside at heart, but it is increasingly clear that it is focusing on the wrong issues and doing real harm while profiting handsomely. Local conservationists on the ground do wonderful work to protect and improve wild landscapes, as do farmers, rural businesses and ordinary people. They are a world away from the highly paid globe-trotters of the Green Blob who besieged me with their self-serving demands, many of which would have harmed the natural environment. 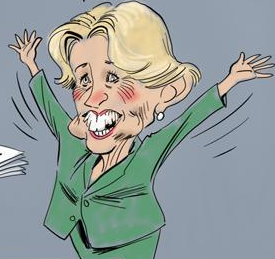 I soon realised that the greens and their industrial and bureaucratic allies are used to getting things their own way. I received more death threats in a few months at Defra than I ever did as secretary of state for Northern Ireland. My home address was circulated worldwide with an incitement to trash it; I was burnt in effigy by Greenpeace as I was recovering from an operation to save my eyesight. But I did not set out to be popular with lobbyists and I never forgot that they were not the people I was elected to serve. Indeed, I am proud that my departure was greeted with such gloating by spokespeople for the Green Party and Friends of the Earth. It was not my job to do the bidding of two organisations that are little more than anti-capitalist agitprop groups most of whose leaders could not tell a snakeshead fritillary from a silver-washed fritillary. I saw my task as improving both the environment and the rural economy; many in the green movement believed in neither. Their goal was to enhance their own income streams and influence by myth making and lobbying. Would they have been as determined to blacken my name if I was not challenging them rather effectively? Just like the Climate Change Authority here in Australia, the UK’s Committee on Climate Change is packed with warmists. 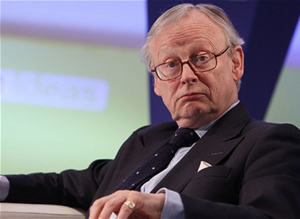 It is also led by a zealot, Lord Deben (see here), who has interests in big green and is massively conflicted. Lord Deben is chairman of the Committee on Climate Change, a body funded by the British taxpayer. He draws a salary of more than £35,000 from you and me. On the masthead of its website the committee claims to give “a balanced response to the risks of climate change” and “independent, evidence-based advice to the UK government and Parliament”. Yet the committee consists entirely of people who think climate change will be dangerous; no sceptics or lukewarmers are on it, even though most hold views that are well within the “consensus” of climate science. Under Deben’s chairmanship since 2012 its pronouncements have become increasingly one-sided. Deben himself is frequently highly critical of any sceptics, often mischaracterizing them as “deniers” or “dismissers”, but has never to my knowledge been heard to criticize anybody for exaggerating climate alarm and the harm it can do to disadvantaged people. These are not the actions of an impartial chairman. The similarities to the Australian equivalent are striking. Read the whole thing. But has the public really tuned out from eco matters because it doesn’t understand them, because it is perplexed by “expert discourse”? I don’t think so. I think the reason people are switching off from the enviro-agenda is because they disagree with it. They just don’t buy the idea that capping carbon emissions is the most important thing in the world, more important than growing the economy, increasing wealth, and being free to choose to live in a big house with the heaters permanently switched on and Tesco just a short 4×4 drive away. They see the mean-minded, sacrifice-demanding politics of being green as a challenge to the thing that has motored human communities for millennia – the desire to create a world of plenty, an overflowing “land of milk and honey”, a utopia filled with stuff and comfort – and they don’t like it. And just to be clear, this does not mean ‘denying’ the existence of climate change, or the contribution that man has made to it. It is about denying the environmentalists the free rein they desire to dictate the response. 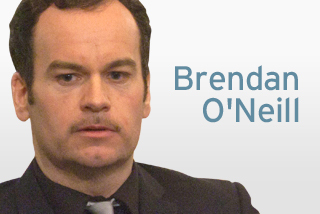 Isn’t this the most punchable face you’ve ever seen? 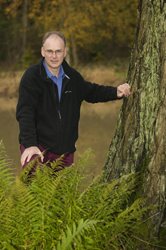 Lord Deben, formerly John (Selwyn) Gummer, is a climate change evangelist who happens to be chairman of a company (which he formed) to advise other corporates on ‘environmental responsibility’. But he’s also the chairman of the UK’s Climate Change Committee. So on the one hand he’s driving government policy towards tougher environmental and sustainability requirements, whilst on the other providing advice, at huge cost no doubt, to companies on how to manage those additional requirements. Anyone not able to spot the conflict of interest there? He also likes spending other people’s money – like when he claimed £36,000 (AU$67,000) on MPs expenses for gardening at his house. Nice work if you can get it, right? Lord Deben said he had discussed climate change at length with Mr Abbott before last year’s Australian election, “and I got five different views during that period of time”. He said he had a similar conversation with Mr Abbott’s mentor, former Australian prime minister John Howard, whom he said was also “absolutely unscientific about it”, and appeared to have read only one book on the subject, by the former UK chancellor Lord Lawson, who says there is great uncertainty about the potential risk of climate change. Gummer and his ilk are the only ones being unscientific. “I have high hopes that people in Australia will recognise that the rest of the world is going in the opposite direction,” said Lord Deben, adding that not every Abbott government minister shared Mr Abbott’s views. 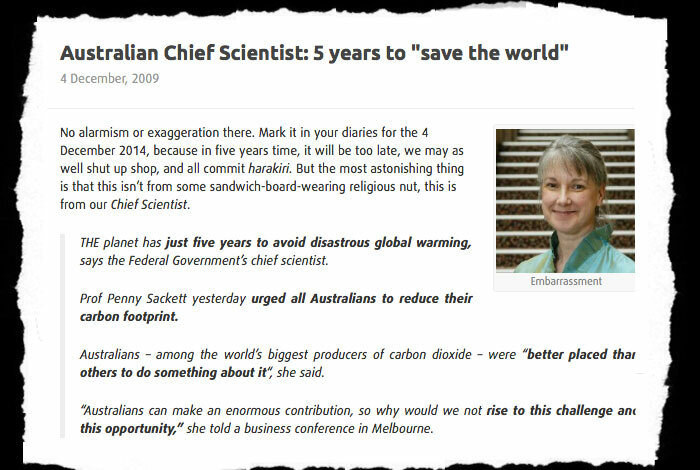 More lies – the world is rapidly retreating from action on climate change (much to Gummer’s disappointment, no doubt). What planet is he on? I just sprayed coffee all over my keyboard – thanks for that. Well I have a few sharp words for you, pal: mind your own damn business. The FT has more here. 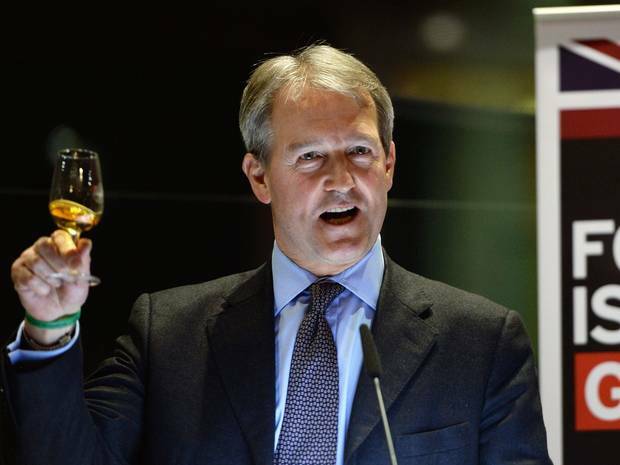 Owen Paterson has been accused of “incredible complacency” over climate change after new figures showed his department has slashed spending on helping Britain cope with global warming. The Department for Environment, Food & Rural Affairs (Defra) will spend just £17.2m on domestic “climate change initiatives” this financial year, a 41 per cent decline on the previous 12 months, according to its response to a freedom of information request. The figures will fuel fears that the Environment Secretary’s personal climate-change scepticism could be exposing the UK to a higher risk of flooding and other global warming consequences. Maria Eagle, shadow Environment Secretary, said such a steep drop in domestic climate change initiatives “reveals an incredible level of complacency about the threat to the UK from climate change”. These are desperate times for parts of the South-west of England, where monsoon-like rains have left villages stranded by floodwater for the best part of a month. Nor has Somerset been the only part of the country to experience the full force of what to many seems an increasingly volatile and spiteful climate. After the largest tidal surge in 60 years hit the east coast last week, parts of East Anglia may have to be abandoned to the sea for good. Either the opinion writers are incredibly stupid, or have incredibly short memories – it has to be one or the other. This nonsensical belief that extreme weather didn’t happen before 1980 is ludicrous. Even the IPCC refuses to link extreme weather to climate change, but that doesn’t stop the headbangers at the Independent. But at least the UK is following Australia’s lead, and cutting pointless waste of taxpayer money on “climate” initiatives. 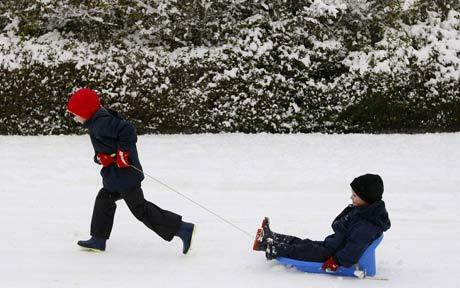 UK heading for “mini Ice Age”? According to Professor Lockwood the late 20th century was a period when the sun was unusually active and a so called ‘grand maximum’ occurred around 1985. Since then the sun has been getting quieter. By looking back at certain isotopes in ice cores, he has been able to determine how active the sun has been over thousands of years. Following analysis of the data, Professor Lockwood believes solar activity is now falling more rapidly than at any time in the last 10,000 years. He found 24 different occasions in the last 10,000 years when the sun was in exactly the same state as it is now – and the present decline is faster than any of those 24. Based on his findings he’s raised the risk of a new Maunder minimum from less than 10% just a few years ago to 25-30%. And a repeat of the Dalton solar minimum which occurred in the early 1800s, which also had its fair share of cold winters and poor summers, is, according to him, ‘more likely than not’ to happen. He believes that we are already beginning to see a change in our climate – witness the colder winters and poor summers of recent years – and that over the next few decades there could be a slide to a new Maunder minimum. Any global cooling caused by this natural phenomenon would ultimately be temporary, and if projections are correct, the long term warming caused by carbon dioxide and other greenhouse gases would eventually swamp this solar-driven cooling.